No matter how many new dishes there are to try, no matter how many different styles and recipes I come across, I always have to go back to doing taco night every once in a while. The beauty about tacos for dinner is that they are simple yet full of so much flavor. Simple as in easy to make but also that you get pure simple ingredients at their best. I mean what is more perfect that grilled meat wrapped in a soft corn tortilla, brought to life with cilantro, onion and lime juice? A little spicy guacamole to top it off? Yes please. Add some beans, rice, salad on the side and you’ve got yourself a dinner. You can use any type of meat (or veg) as a filling for a taco. 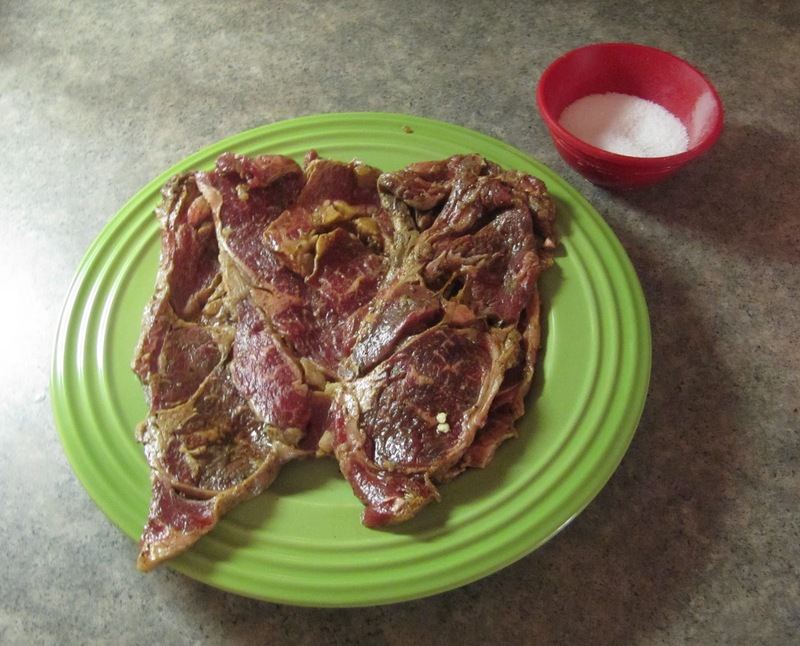 For this particular version I marinated thinly sliced ribeye steak and pork shoulder pieces both in a combination of lime, cumin, ancho chili powder, salt and pepper for just about a half hour as to not “cook” the meat in lime juice. I wanted to impart some additional flavors but both of these meats, especially when we’re talking tacos, are just as delicious simply seasoned with salt and pepper before throwing on the grill. Thanks to this lovely spring we’re having, I used a grill pan indoors for my ribeye while I used a cast iron skillet to roast the chunks of pork meat. 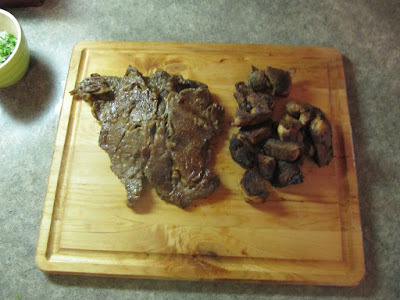 For the ribeye, it only took a matter of minutes on each side. For the pork I wanted to get a carnitas feel so I roasted them at 400 degrees for 45 to an hour, making sure to turn them so they brown evenly so they get a bit crispy. 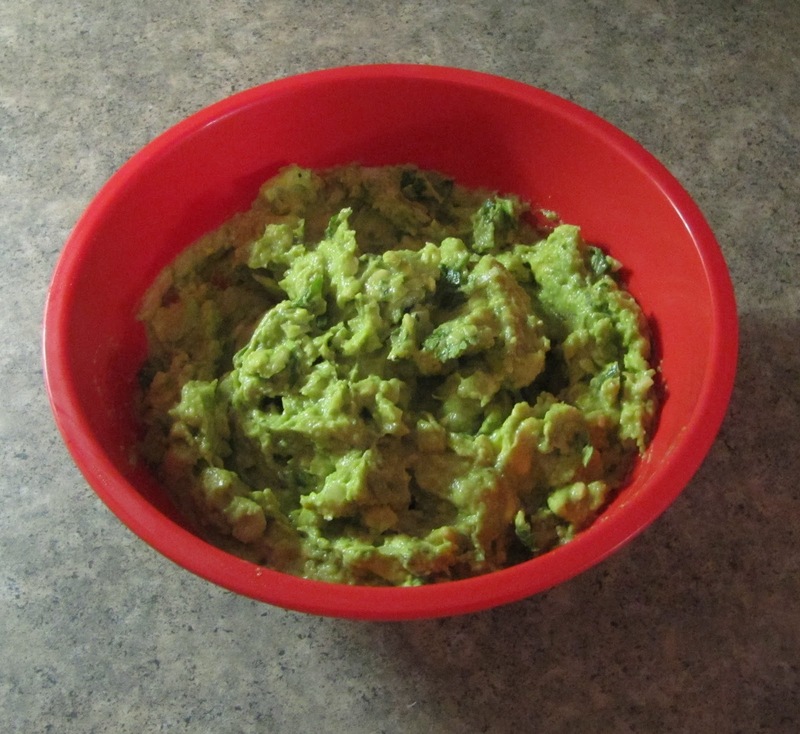 While the pork roasted I prepared guacamole. The key to guacamole are good avocados, they pretty much do all the work since they are so delicious on their own. It is extremely difficult to get good avocados at a standard supermarket, I highly recommend shopping at a fruit market or a Mexican grocery store. It might not seem like a big deal but the difference is extremely significant in my opinion. Whenever I pick up an avocado I try to gauge the texture that it is going to have by squeezing it. A good avocado will be easy to smash for guacamole or to smear on a piece of bread. You can feel this consistency through the peel in my opinion. You want an avocado that looks plump and gives a little. If they aren’t quite mature enough, give them a couple of days to ripen. To make the guacamole I started by taking a couple of cloves of garlic and turning it into a paste using a bit of kosher salt and a mortar a pestle. I added a few avocados to a large bowl along with the garlic paste and began to mash them together using a potato masher. I like my guacamole a bit chunky, something about perfectly smooth guacamole creeps me out but everyone has a different consistency that they enjoy. I then add diced onion, cilantro and diced chile serrano. I like guacamole spicy so I usually add one serrano for every two avocados. I add the juice of a couple limes and stir it all together adding salt and pepper as needed. It can take less than 15minutes to make a guacamole that can be used on anything and is consistently delicious. I also prepared a quick salad of thinly sliced cucumber, lime juice, ground guajillo flakes, salt and pepper. The acidity of the lime and the crispness of the cucumber really work well as a side for a taco. 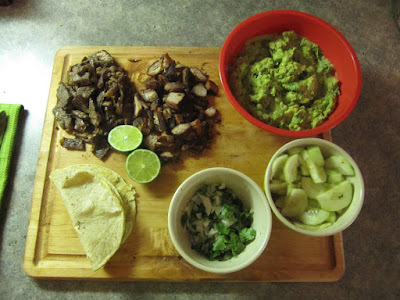 Once the meat was cooked, I chopped it into pieces, served along with warm tortillas, chopped onion and cilantro, lime wedges and guacamole to top it off. I served the cucumber salad on the side and dinner was done. When you look at the spread of food, the individual items don’t look like much, but once they’re all put together they make an awesome taco. This is a meal that will never get old to me though it is something I’ve had since I was a child.